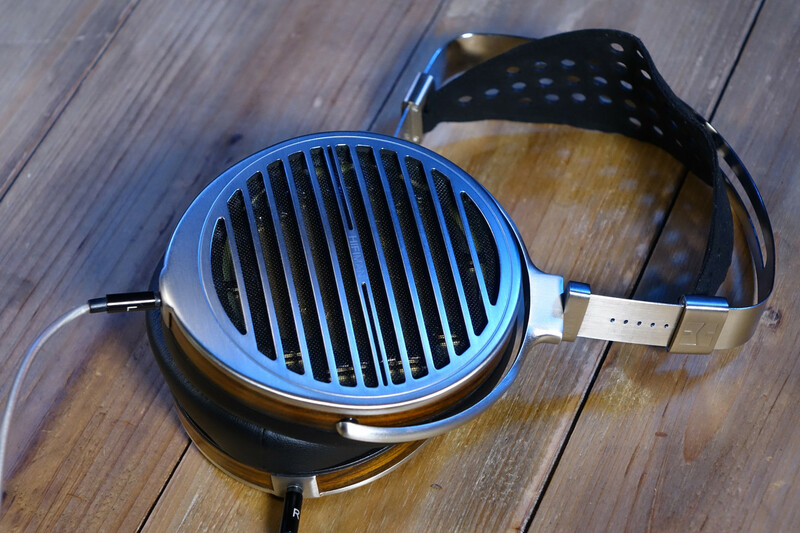 Home / Gadget / HiFiMan Susvara: Why do these headphones cost $7646? All fans of high fidelity are aware to a greater or lesser extent that the prices that are sometimes handled in this activity are disproportionate and are absolutely beyond the reach of most of the public. Even so, a large group of manufacturers continues to market products that respond to these premises, which reflects that, surprising as it may be, these components have their market. A minority market, without a doubt, but well consolidated. Otherwise it would not have developed without just showing symptoms of fatigue since the 50s of the last century, which is practically from the very birth of high fidelity. 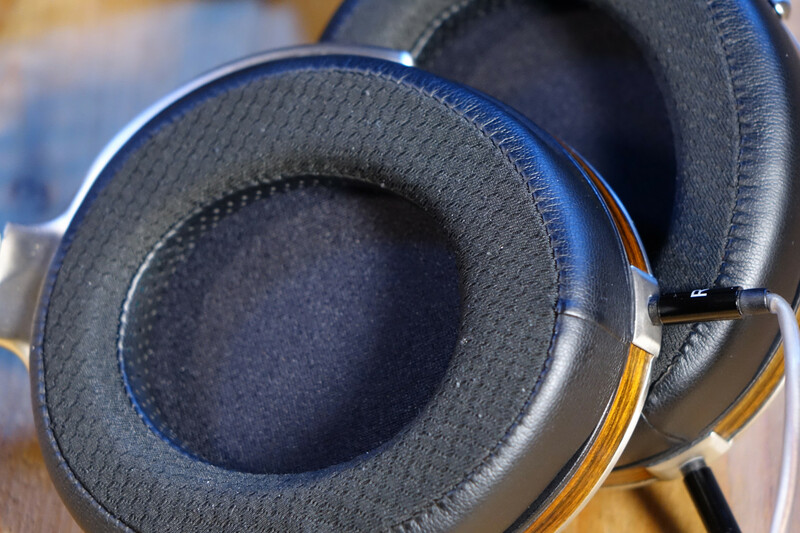 A few weeks ago the most sophisticated headphones that HiFiMan, a company founded in New York by an audiophile of Asian origin, fell into our hands. In its catalog we can find reasonable price models, such as the RE300 intrauricular, of just over 50 dollars. 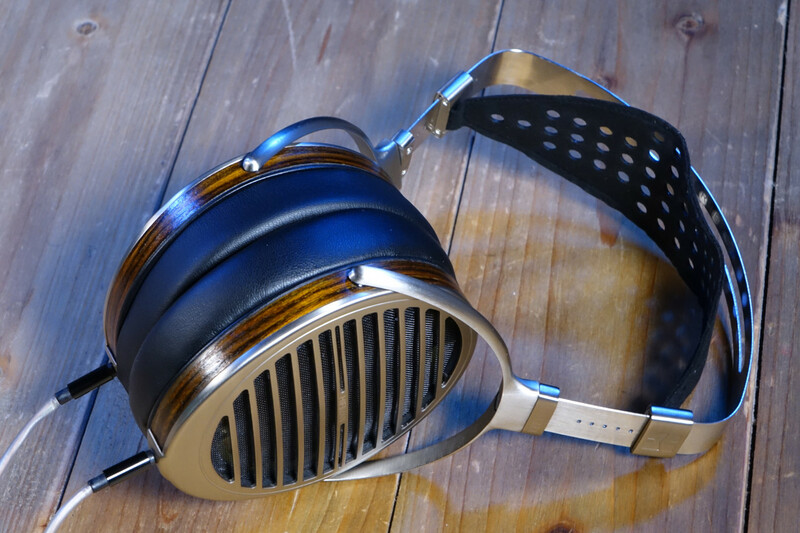 And also proposals with an intimidating cost, such as the Susvara, which are the magnetoplanares headphones that we are going to analyze in this article, and that cost $7646. 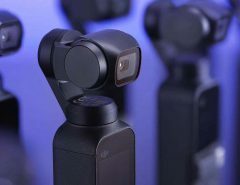 So we could not resist the temptation to test them thoroughly, even knowing that it is a clearly elitist product, with a well-defined goal: to find out if its price is justified by determining what they really offer us. Without esoterism. Let’s go there. The first thing we are interested in doing is to identify what kind of proposal we have in hand. The Susvara are circumaural, magnetoplanares and open-space headphones. As you can see in the photographs, the fastening system they use is a headband, which is the option that manufacturers usually opt for when they set up headphones for high-fidelity applications. Its circumaural design allows our ears to be completely encapsulated inside the enclosure of the headphones, which, moreover, is open. This last feature manages to eliminate the internal resonances inside the enclosure, but it has a double counterpart: it does not isolate us from outside noise, and, in addition, it allows the sound of the headphones to filter out, making it easier for other people to hear it. Even so, the advantages of open circumaural designs are many, both because of their direct influence on sound and on ergonomics. The models of these correctly executed characteristics usually offer a detailed, dynamic sound, with a realistic timbre and a wide sound scene that can rival with that provided by good acoustic boxes. In addition, its circumaural architecture prevents the pads from directly pressing on our ear pavilion, making it possible to use them during prolonged listening sessions in a comfortable way. 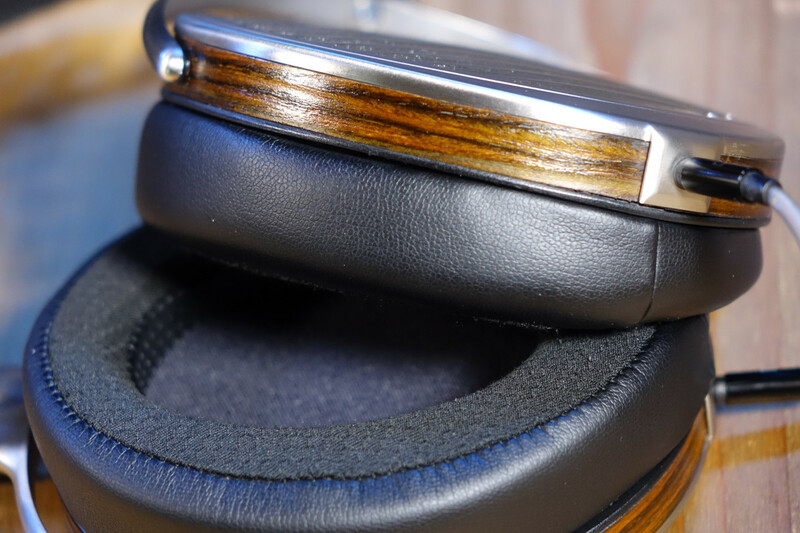 Another interesting detail of these headphones in which it is worthwhile to notice is that, due to the design of their transducers, they are magnetoplanar type. A transducer is nothing more than an element designed to transform one type of energy into another, so in a pair of headphones this component transforms electrical energy, which receives from the amplifier and that contains the musical information, into acoustic energy, which manifests itself as the variations of pressure that we perceive in the air and that our brain interprets as sound. In headphones, regardless of their type, the transducer is made up of two fundamental elements: the diaphragm and the magnet. Of course, there are other components, but in this analysis we are interested in specifically delving into these two. The diaphragm of the magnetoplanares designs is a flat, light and extremely thin layer of a rigid material whose vibration causes the pressure changes in the air, which, as I anticipated in the previous paragraph, are perceived by our auditory system and interpreted by our brain as sound. The element responsible for causing this mechanical vibration of the diaphragm is the magnet, which is designed to respond to the fluctuations of the electrical current coming from the amplifier, which are what ultimately cause the movement of the diaphragm thanks to traces housed on its surface and through which electricity circulates. Of the precision with which the interaction between the magnet and the traces of the diaphragm responds to any variation of the electrical signal, however subtle it may be, depends on the resolution that the headphones will offer, which is nothing more than the ability to reproduce any musical detail, however imperceptible it may seem. A well-designed magnet should not only be capable of generating a magnetic field of high intensity, when necessary, and therefore able to accurately control the movement of the diaphragm; that magnetic field also has to be symmetrical and evenly distributed over the entire surface of the diaphragm. As you can see, the importance of these two elements is maximum because they have a lot of weight in the quality of the sound that the headphones are going to offer us. One of its most interesting specifications is its frequency response. As you can see in the table, according to HiFiMan these headphones are capable of reproducing the frequency range from 6 Hz to 75 kHz. It is impossible to know if they can really do it without resorting to laboratory analysis equipment because the auditory system of a healthy, young person (our ability to perceive the highest frequencies reduces with age), ranges from 20 Hz to 20 kHz. Even so, reproducing that spectrum of frequencies is a real feat. An unnecessary feat to the extent that our capacity for perception does not require much less those figures, but a feat in terms of engineering, after all. The other specification in which I propose that we repair is its impedance, which is 60 ohms. This parameter indicates, without going into complicated details, what resistance a loudspeaker opposes to the passage of electric current, and its value varies with frequency. 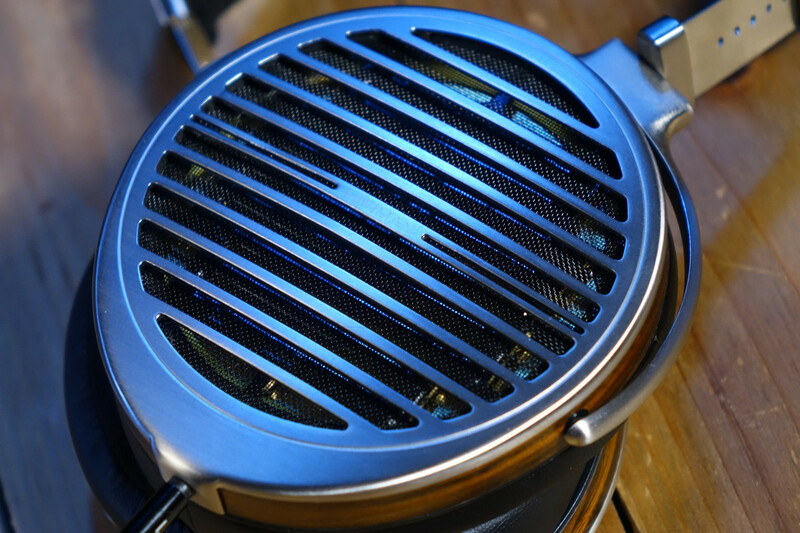 In the Susvara is relatively high (but much lower than that of STAX electrostatic headphones), but not exaggerated, which already allows us to intuit that to “attack” with guarantees these headphones need a quality amplifier with a capacity of delivery of remarkable current. This intuition is confirmed if, in addition, we look at its sensitivity is 83 dB, which is a relatively low figure. This last parameter reflects the ability of headphones to transform the electrical power they receive into acoustic energy, so a higher sensitivity tells us that, with the same power, the level of sound pressure that we obtain will also be greater. In the first lines of this analysis I have pointed out that currently there are many manufacturers of high fidelity equipment that incorporate products with a very high price and absolutely inaccessible for most of the fans in their portfolio. Of course, brands know perfectly well that this type of components have a very small market, but many resort to them to demonstrate what they can do when they are not bound by any limitation imposed by the final cost of the product. 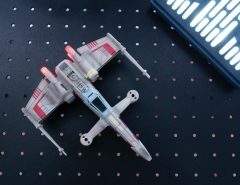 In fact, some of them, which in addition to fine-tuning expensive products manufacture others of much more realistic cost, use the achievements they achieve in their more sophisticated proposals as a marketing tool to sell their more affordable models. In any case, manufacturers of very high-end products often use four reasons to explain why their solutions are so expensive. The first is the investment that they have been forced to carry out in R + D + I (research, development and innovation) to put them to points. The second is based on the materials used in its manufacture, which are sometimes scarce and come from industries as varied as aeronautics or jewelery, which has a profound impact on its price. The third argument to which they resort to defend the price of their products derives from the techniques and resources used in their manufacture, such as, for example, a cutting-edge numerical control (CNC) machine of last generation. Often they also tend to defend that the manufacture and assembly of their products is mostly handmade, which can have a positive impact on their long-term reliability. The last of its reasons is, in reality, a strategy that is not always openly recognized, and has to do with the fact that the price can also be used as a tool to position itself in the market. And it is that a higher price can automatically place them in a higher and exclusive market stratum, attracting the attention of potential clients with greater purchasing power. 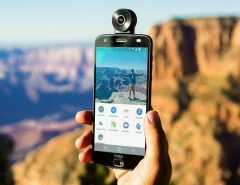 Of course, if it is not consistent and does not go in line with the quality of the product, there will be many people who will not be bamboozled, especially at a time when the Internet makes available to almost everyone a huge amount of information. In my opinion, and after having spent several days of exhaustive analysis and listening sessions that have lasted for many hours with selected cuts, the HiFiMan Susvara respond to the philosophy I have just described . They bring together several innovations, especially as regards the diaphragm and the magnet, which may have required a significant effort in terms of R & D & I. In addition, they are impeccably machined and assembled, reflecting meticulous manufacturing carried out with quality materials. And, finally, it is very likely that, beyond the real manufacturing cost of the Susvara, the people of HiFiMan have had very much in mind the price of the competitors with which they want to measure, such as top brand models. like the Japanese STAX and Audio-Technica, the European Sennheiser and AKG, or the American Audeze and Grado Labs, among many others. To test these headphones I used the highest quality hi-fi equipment that I have access to, which consists of an Accuphase DP-67 CD player, an Oppo UDP-205 multiformat reader with DAC Saber ES9038PRO HyperStream 32 bit, a Clearaudio Champion Level 2 SE turntable with SME 309 arm and Benz Micro LP S sound-absorbing capsule, and finally, a McIntosh C500T hybrid preamplifier with eight vacuum valves 12AX7A of Russian origin and independent power supply. The modulation wiring was Van den Hul and Kimber Kable. On the other hand, my criterion at the time of choosing the musical cuts that I used in the auditions required, first of all, to value their sound capture and the quality of the recording. They covered classical music, jazz, rock, reggae and early music, and the formats I used mostly were CD, SACD, vinyl and digital files with studio master quality encoded with a resolution of 24 bits and a sampling frequency of 96 kHz and 192 kHz. Describing the sound of a high-fidelity component is not easy. And it is not because finding the words that most clearly express what we perceive through the ear is not an easy task. In addition, subjectivity in this area is inevitable. Even so, I will strive to describe in the most objective and honest way possible the sound of these headphones, without abusing the audiophile jargon that is often used and that often confuses and masks, when what should do is shed light. The sound of the Susvara is detailed. I know very well the recordings that I have used in the auditions, and there are many nuances that go unnoticed when the speakers or headphones used do not have enough resolution. But these headphones do. In this area, in particular, the diaphragm of low mass and extreme thinness that has been developed in HiFiMan, as well as the magnetic motor that excites it, have much to say, without a doubt. Another feature that has caught my attention is its dynamics. In the moments of the cuts of classical music that I have used in which one or two instruments give way to the whole orchestral mass, these headphones are capable of handling this torrent of music, and the changes in sound pressure that it entails, with much sufficiency, without at any time the instruments are grouped and the sound scene is compressed. On the other hand, they place each instrument in its place, so it is possible to listen to each of them clearly separated from the others. And, as far as the hardest instrument to reproduce is concerned, which is the human voice, its timbre and its harmonic richness are very reliable. However, possibly the most liked feature of the Susvara is its ability to achieve a very high level of sound pressure without hardly causing acoustic fatigue, which reflects that they are able to keep the distortion under control even when we fully tighten the throttle. And this is not easy. 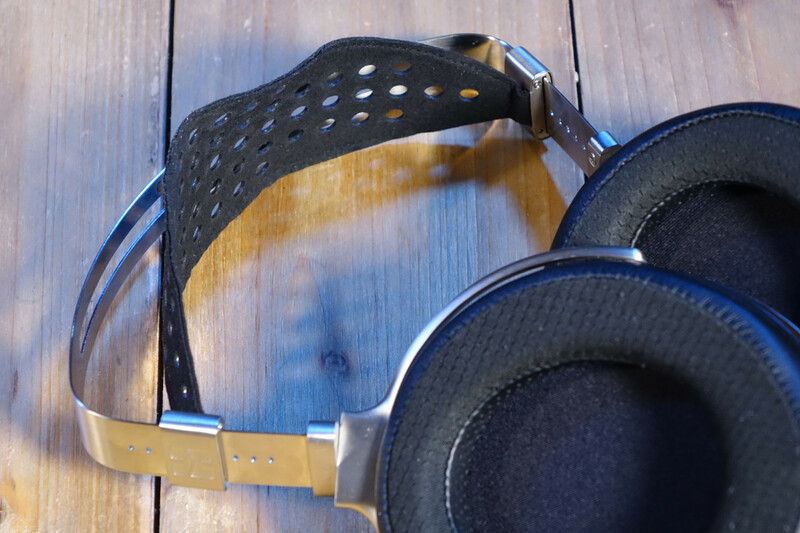 Do $7646 headphones sound better than a generic model of less than $100? The time has come for us to submit these headphones to an authentic “acid test”. What will a group of users with little knowledge of the world of high fidelity think about their sound? Will they be able to identify the sound of HiFiMan Susvara if we compare these headphones with much simpler ones whose price is significantly lower than $100? To find the answer to these questions we planned a “blind” audition in which eight people have participated who like music but do not have deep knowledge about the world of HiFi or headphones. They are simply amateurs without any special baggage. The test is carried out under the strictest possible conditions: we sell the eyes of the participants, we do not let them touch the headphones until the conclusion of the test and we use the same equipment and the same cuts to test both headphones. In addition, the change from one model to another is done immediately because we connect them simultaneously to a hybrid integrated amplifier (with vacuum valves) Ifi Retro 50 capable of simultaneously exciting both headphones. The source was a high-end FiiO player, and the songs were WAV 16-bit and 44.1 kHz (CD quality). As you have seen in the video, five of the eight people who participated in the blind hearing clearly opted for HiFiMan Susvara, two preferred the cheapest headphones, and there was also a person who was not clearly positioned in favor of any of the two models The best of all is that this result allows us to reach several very interesting conclusions. If we stick to their sound quality, the audition shows that it is not necessary to have advanced knowledge to perceive that the Susvara sound better. At least that’s what 62.5% of the people who participated in the experiment thought. Almost all of them emphasized that HiFiMan have a cleaner and more detailed sound that allows them to appreciate instruments more clearly. They even noticed its lower noise level, an unambiguous symptom that the distortion of the Susvara is noticeably lower. As expected, however skeptical we may be, the $7646 HiFiMan Susvara sounds better than generic headphones under $100. The problem is that they cost an authentic fortune, reason why they only represent an attractive option for those fans to the music with an enormous level of exigency and that, in addition, they have a very high purchasing power. But even in these circumstances, as we shall see below, I find them an option at least questionable.